On my recent trip to Barbados I got an automatic email alert that the temperature in the house was down to 60F. I panicked for a minute, assuming something must be terribly wrong. The average outside temperature that day was 14F and I was over 2000 miles away. We usually keep the indoor temperature set to least 65. One night in January the front door blew open sometime in the middle of the night and minisplit ran hard to keep the temperature at 65 degrees in the core of the house but it was able to, even with outside temperatures in the single digits that night. So when I got the email alert, I panicked, then I logged on to the heating system control panel via my smartphone app. I found that the minisplit had been turned off for some reason. I turned it back on, sent Li Ling an email, and then went about my business (eating coconut and surfing.) When I skyped Li Ling later in the day, she said she had turned it off because she was using the wood stove instead. No damage done and the house warmed up quickly enough. If anything, it was a nice, reassuring feeling to know that the smart thermostat actually worked. The robot controlling our indoor climate was keeping track of things for me while I was away. 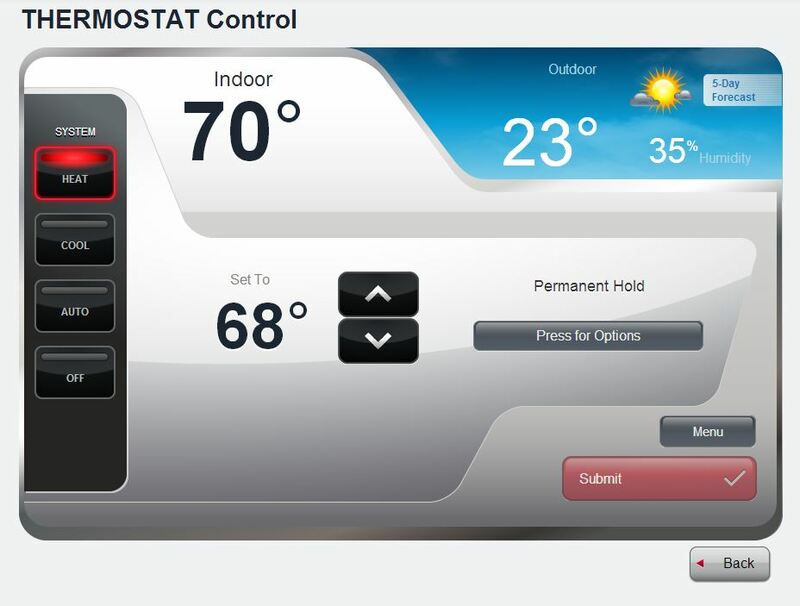 How did you connect the wifi thermostat to your heat pump? I have a heat pump, but it only has a remote control. Kevin, if you also have the Mitsubishi Mr Slim minisplit there are actually 2 different upgrades that you need for the Wi-Fi functions. The programmable thermostat is the MHK1. And the network interface is provided by the Redlink Internet gateway.